If you look around a little, you'll soon find there are numerous teen journals online. But is an online journal the right fit for you? For some, an online journal is a great way to express what is going on in everyday life. But for other teens, the openness is too much. While teen journals online aren't for everyone, there's still much to be learned from them. If you want to have a private diary that you might decide to make public then My Diary might be the place for you. This free to use private site allows you to choose if your thoughts are going to be seen by the world or are just for your benefit. Without all the bells and whistle of some sites, here you can just write down your innermost thoughts in a way that is secure enough to keep your parents or siblings from snooping. Given 3 stars by Common Sense Media, Tumblr is a free to use microblog that is like a cross between a blog, Facebook and Instagram. While Tumblr states it is for teens over 13, some don't recommend until 15. Still, Tumblr has the unique feature of letting you share your words along with music videos, quotes, images, TV shows and more. You can also customize the look of your Tumblr space, so it is more uniquely you. However, if you are looking for privacy, this might not be the place for you because users can comment on your Tumblr. Consider it interactive journaling. Are you looking to take your online journaling to the next level? If you are concerned with how your space will look or want to find a community with like-minded teens, Xanga is your space. On Xanga's free host, you can create your space to match your personality. Tell your thoughts through words or pictures that others can view and comment on. Xanga also boasts flexible themes and updated security. LiveJournal provides teens with an online community and network for sharing your thoughts and feelings. Much like Xanga, users can get creative when making their space. 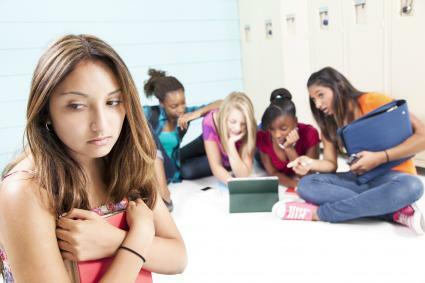 While sharing their thoughts and feelings through words and imagery, teens can also give advice and connect with others. If you want to keep your thoughts private, Livejournal lets you choose what to share and what not too. So, keep those innermost thoughts to yourself. Maybe you want to journal about your dieting tips or you have a recipe that you just must share, Blogger might be your journaling go to. Not only can you decide on your format and platform of your blog through themes and templates, but the content is totally up to you. You might choose to add pictures and quotes to share with friends or just create a place for you to write down what you are thinking. However, if you want unlimited thoughts, Blogger isn't the right fit. This site does limit you to 100 blogs per account. Additionally, Common Sense Media gives it 4 stars for kids over 13. Available both online and as an app, Journey.Cloud has a little bit of everything. Offered for free and as a subscription, this site allows you to write your turbulent emotions and everyday thoughts. It also lets you scrapbook journal for those creative souls. And the indexing tool allows you to revisit your content. In addition to being able to write from anywhere, you can choose to share your thoughts with others as well. Featuring 4.2 stars out of 665 users on iTunes, Penzu is a free online private journal that you can take anywhere. Available for both iPhone and Android apps, Penzu offers teens a place to keep their innermost thoughts, secrets, and desires private. Whether you want to write down that crush you have or journal that humiliating moment, Penzu will keep your thoughts safe and secure on all your devices. Penzu is locked with a password and offers unlimited journaling for free. Rated for everyone, this online journaling site uses artificial intelligence to helps teens to find mindfulness and reflect on their thoughts. It also helps teens to deal with negative thoughts and highlight the positive thoughts they feel. Many users note how it helps them to sort through their feelings and weed out negativity. A free app, teens can use Reflectly to track their progress while getting insight into their feelings. Reflectly was given a solid 4 stars by over 2,000 reviewers on GooglePlay. What Is an Online Teens Journal? Some people consider an online journal to be the same thing as a blog. To others, an online journal writing is a more personal account and the word diary is preferred. Whatever your sentiment, an online journal is generally a website that you use to recount your day. For some teens, this might be a photo diary with very brief detail regarding what's going on in everyday life. For other teens, this can be a much longer text account of every single event. What exactly goes in an online journal is entirely up to the writer! Other people can comment and give you advice or share their insight. This can be helpful to move past difficult situations or it can be exciting to relish the good moments. One of the greatest sources of relief a teen can have in everyday life is journaling. An online journal provides this outlet. With all of the options of online journals out there, you can really make it yours by customizing everything from who can view your journal to the font color. When looking back, you'll be able to remember what you've gone through--the good and the bad--with great ease. You can use what you post online to network with new friends worldwide with similar interests as you. An online journal is yours and yours alone. You can talk about everything from websites you like to TV. Although it can be helpful to put that information out there, you're putting things online. That means that unless you are very careful with your privacy settings, everyone can see what you type--from your parents to teachers and friends to predators. Things happen and sometimes the Internet runs into problems. 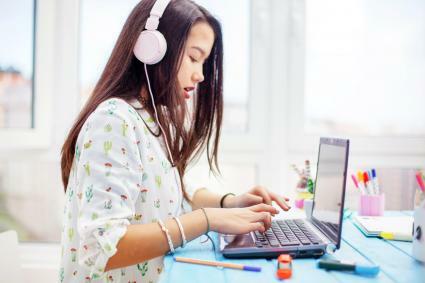 Because of this, there may be times which you can't access your teen journal online or things may cause computer issues. Reliving memories--both good and bad--can sometimes make teens feel worse about what is going on in their life. If you say the wrong thing in a journal and a friend reads it, it can make your everyday life that much harder. Writing in an online journal is a personalized experience. Whether you choose to share your thoughts with others or keep them to yourself, there are some tips that will help you to get the most out of your journaling experience. The fun thing about journaling is that it is your personal space. So, if you have the option make it all your own, design your space from the ground up so that it shows your personality. Modify the layout. Choose a template that fits you. Find a color scheme that illustrates your personal style. Sometimes the online world is scary. If you have a journal that is open for others to view, you want to make sure that you limit the personal information that you give out. Your name, address, etc. should remain secret unless you are sharing only with people that you know. Let your words, images, thoughts, and all those inner feelings flow freely. What you are writing is important and valuable. Don't critic yourself or silence your thoughts. Don't limit yourself to words. Use images, songs, videos, whatever you have available to express yourself. It might be a quote that fits your day or even a song, let everything flow together in a creative mosaic of your personal emotions. Sometimes our thoughts are negative and that is completely okay. However, don't let other's negativity affect you. If someone is criticizing your space, remove them. This is a place for you to express yourself freely and grow. If you are using a private journal, then letting your thoughts flow freely without worrying about grammar and typos can be therapeutic. However, if you are sharing your words, you might want to consider giving them a quick read through before posting. Whatever you are using journaling for, remember this is your space. Online journaling is a great way to keep your noisy siblings and parents out of your thoughts. With several free websites that are password protected, you can record your innermost thoughts in a safe environment. If you want to share your thoughts with the world, there are places for that too. Above all, this is your space to express yourself, use it wisely.